These similarities, however, do not make them the same and here it is why. Unlike junk of an organic origin, however, this one does not feature animal-related junk material or bulky waste such as massive trunks. What is the right way to dispose of each of them? 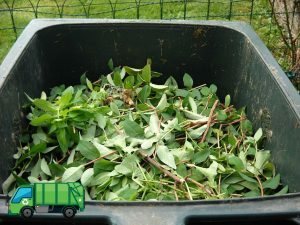 Even though both green and organic waste can be easily recycled, reused and composted they can cause a lot of harm to the environment if they are not disposed of in a proper manner. That is because they can release high doses of methane – a chemical that is among the most dangerous greenhouse gases. Therefore, if you want to organise and clear out your backyard, rely on a professional garden clearance in London. It is particularly suitable for green junk. The same goes if you want to get rid of a large amount of organic waste (spoilt food, bones, etc.). Hire a skip, fill it up and ask the rubbish collectors to come and pick it up. They will make sure that it is handled in the utmost eco-friendly way possible.